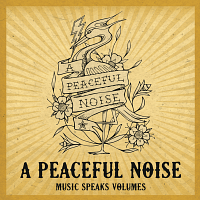 "A Peaceful Noise aims to bring together multiple artists for a unique and eclectic one-off celebration. Like the 88 others who lost their lives in the venue the night of the Paris Bataclan attack, as well as the countless injured, Nick Alexander was a music lover and going to gigs was a huge part of the fabric of his life. All acts are playing acoustically and all profit goes to the Nick Alexander Memorial Trust"
The 2018 event features Tom Grennan, The Hunna, Liela Moss, Sophie and the Giants - hosted By John Kennedy.